Keeping the necessarily hygiene the kitchen in your home and restaurant can be done with the help of professional cleaners. Use our services to ensure the spotless and healthy state of your cooking area and the results will be excellent. 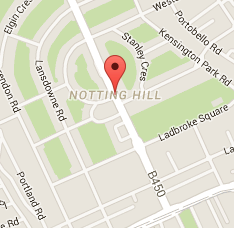 We offer inexpensive and reliable kitchen cleaning which can be booked by the Notting Hill residents any day of the week. Our cleaners will provide effective and detailed sanitising of the oven and microwave, hobs and shelves, dishwasher, fridge and freezer, sinks and counters. They will wash and wipe the hard floors and ensure suitable cleaning of the cabinets, shelves and drawers. 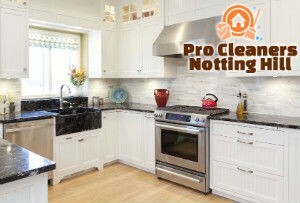 Leave your worries behind and use our professional kitchen cleaning services. Whenever you need a deep and thorough sanitising of the kitchen in your house, flat or restaurant, call us and we will do the work. Our cleaners use top-quality detergents and preparations for de-greasing, scrubbing and sanitising different kitchen surfaces. They will wash and remove the lime-scale from your sinks, taps and tiles, apply effective cleaning of the floor depending on its type. Use our professional kitchen cleaning services, available in W11 to ensure the healthy and safe condition of your home. Our cleaners will dismantle the removable parts of all electric appliances and soak them in heated solution in their vans. These components will be scrubbed until all carbon deposits and grease are completely removed. We provide effective sanitising and defrosting of freezers and fridges, cleaning of tables, counters, floors and internal windows. Contact us whenever you need comprehensive kitchen cleaning in your domestic property or restaurant, located in Notting Hill, W11 and you won’t be disappointed by the results of our staff’s work.